Most windows workstation or notebook that are used to connect internet or used to browsing the internet do what is called domain name system (DNS) caching. The windows workstation with DNS client service enabled will automatically cache IP Addresses and other DNS results. If DNS client service stop, the workstation will not able to resolve DNS name and will not caches the DNS name. 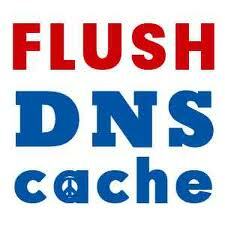 DNS cache stores the locations (IP addresses) of pages that workstation have recently viewed. In this post, i will show the basic command to Flush the DNS on Windows. 1. Open up a command prompt (Start > Run > “cmd.exe” > OK). Due to Microsoft security additions on the newer versions of Windows operating system such as Windows Vista and Window 7, you must run the command prompt with administrator privileges.